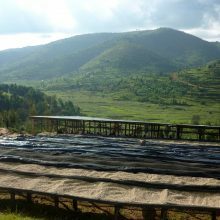 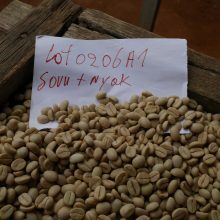 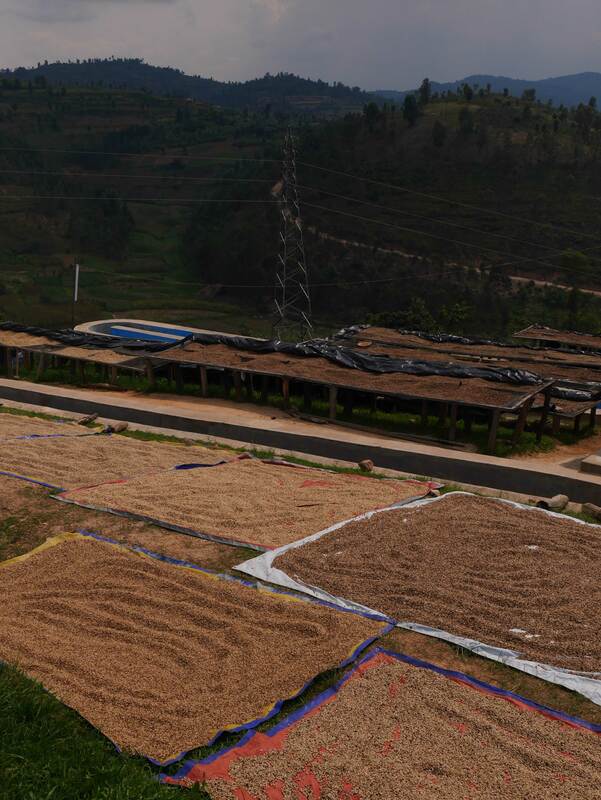 This 100% Red Bourbon coffee was processed at Buf Coffee’s Ubumwe washing station (the fourth to be established by Buf), located at around 1,600 metres above sea level near the capital of Kigali. 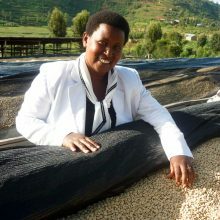 Buf Café was founded in 2003 by Epiphanie Mukashyaka, a dynamic businesswoman and a source of inspiration to countless other female entrepreneurs in Rwanda’s coffee sector and beyond. 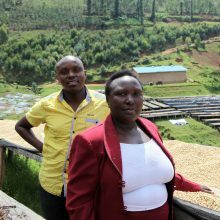 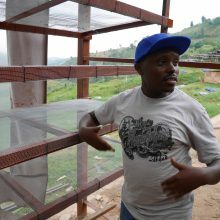 Buf is now managed by Epiphanie and her son, Samuel Muhirwa, who takes an active role in running and expanding the business. 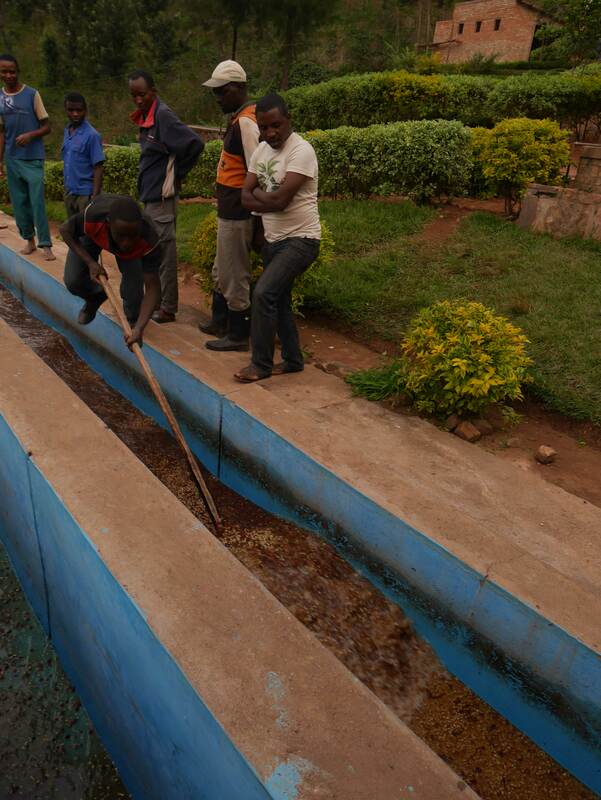 The title ‘Buf’ derives from ‘Bufundu’, the former name of the region in which its washing stations are located. 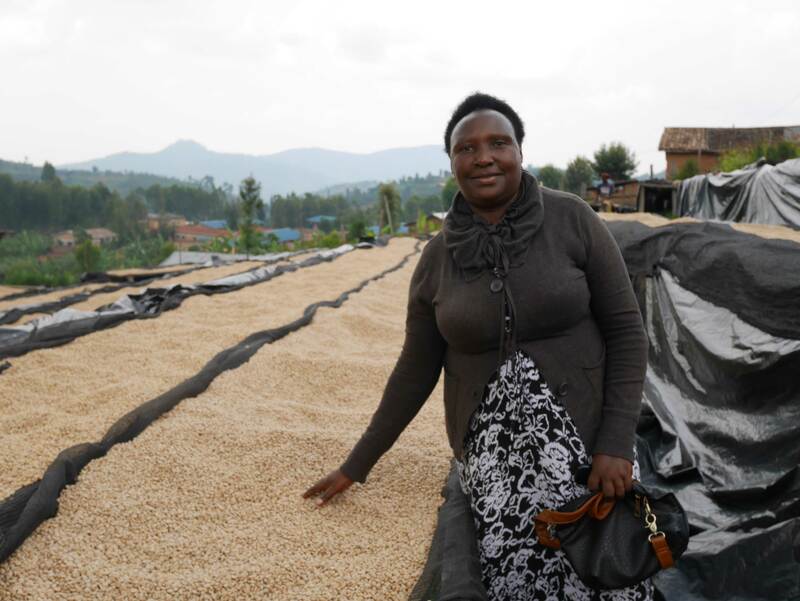 Epiphanie, who was born in 1959, was widowed during the 1994 genocide - which claimed over 800,000 lives in just 3 months - but chose not to leave her family’s small coffee farm. 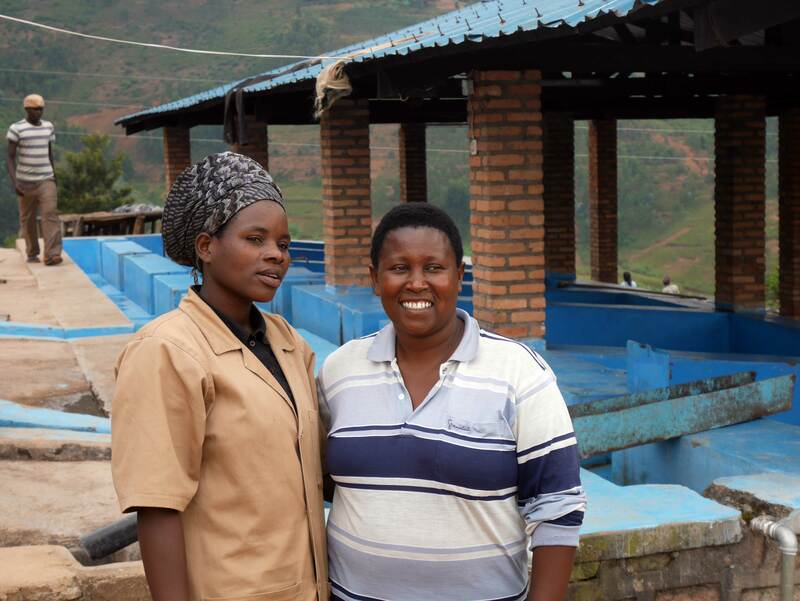 Instead she set about rebuilding and developing her business and with it the local community. 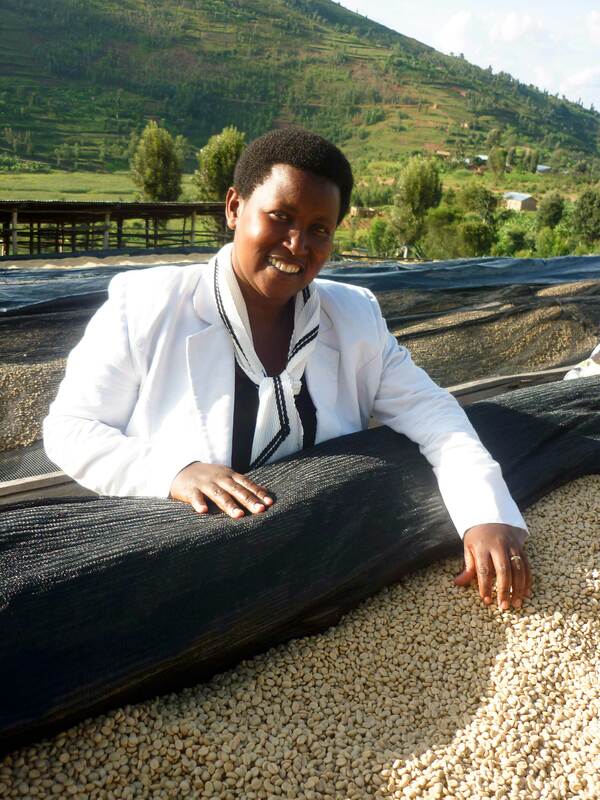 She started Buf Café in 2003, when she established Remera washing station (her first) with a loan from the Rwandan Development Bank and the assistance of the USAID-financed PEARL project. 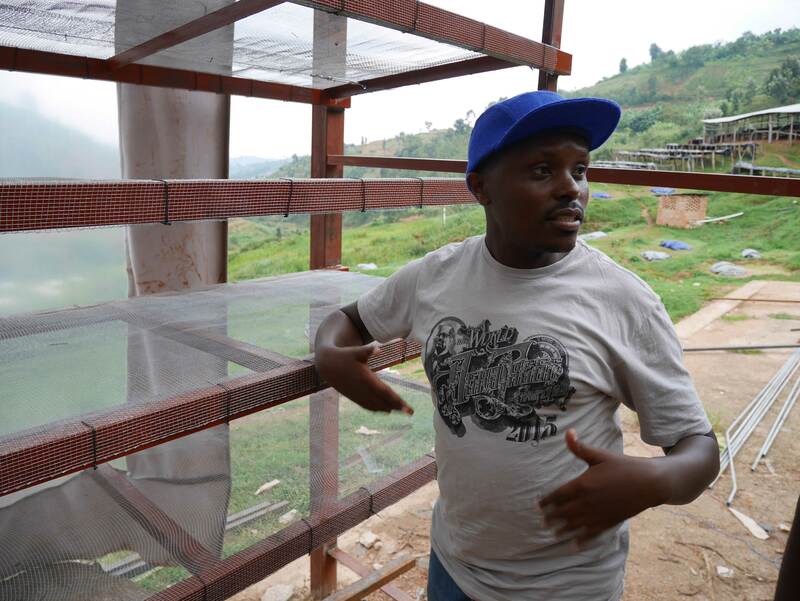 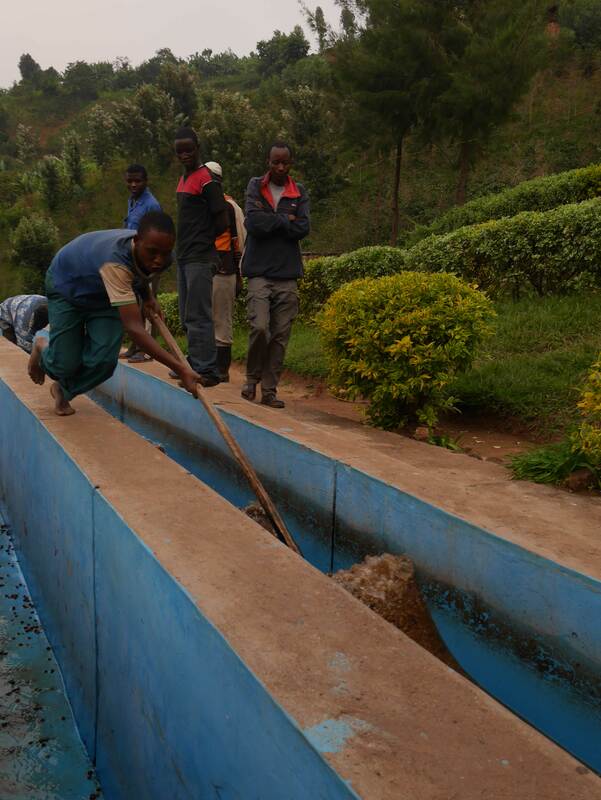 Buf Café now owns four coffee washing stations – Remera, Nyarusiza, Umurage and Ubumwe. 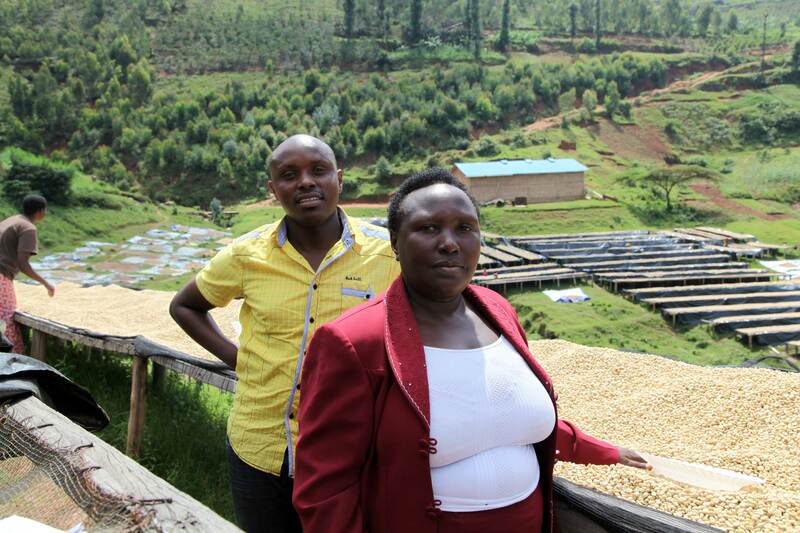 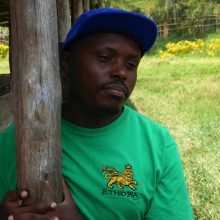 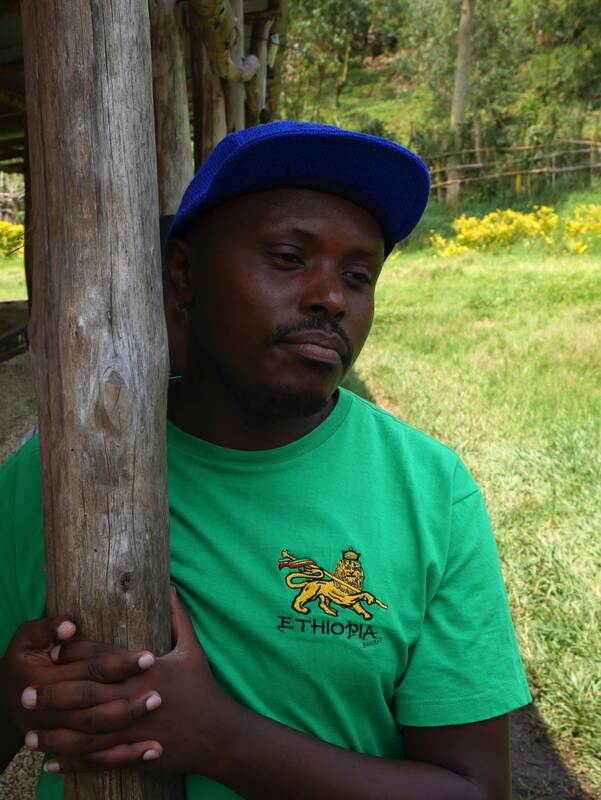 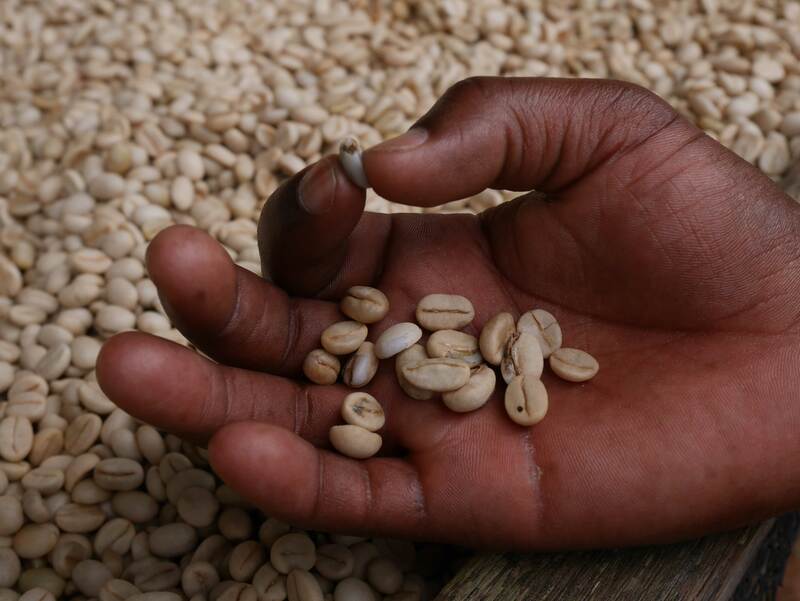 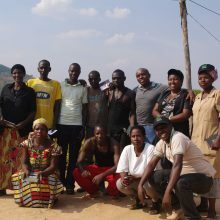 The company, which was serving fewer than 500 farmers in 2003, is now procuring coffee cherries from almost 7,500 smallholder farmers in the Southern province of Rwanda, among them 1,069 are registered members. 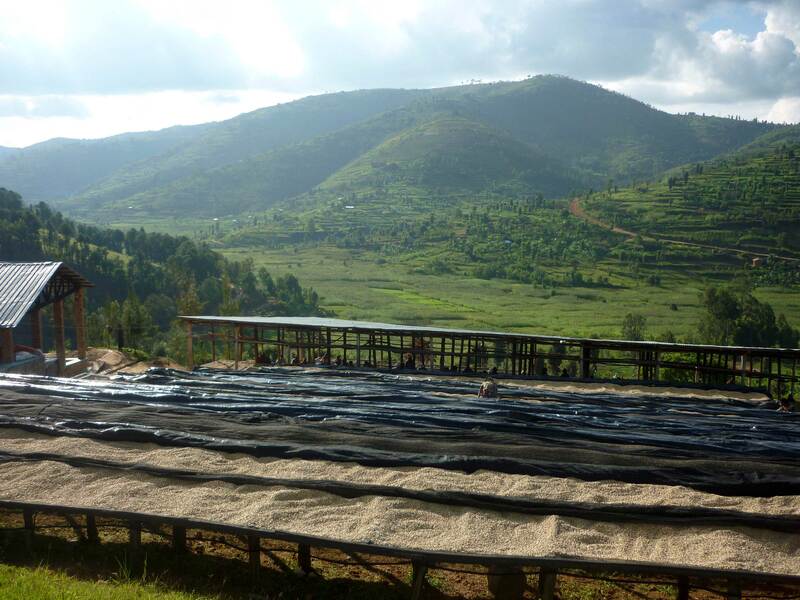 Buf has very strong links with the local communities that supply it, providing jobs for hundreds. 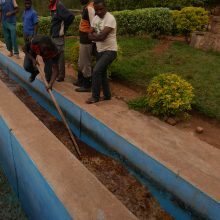 At the end of each season Buf will share any surplus profits with both the cooperatives with which it works and its washing station managers. 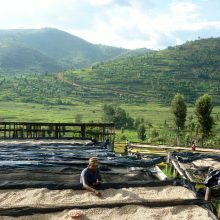 Bufcoffee’s forth coffee washing station (CWS) is called Ubumwe CWS, located in the Kamonyi District which is only 20 minutes far away from the capital city Kigali. 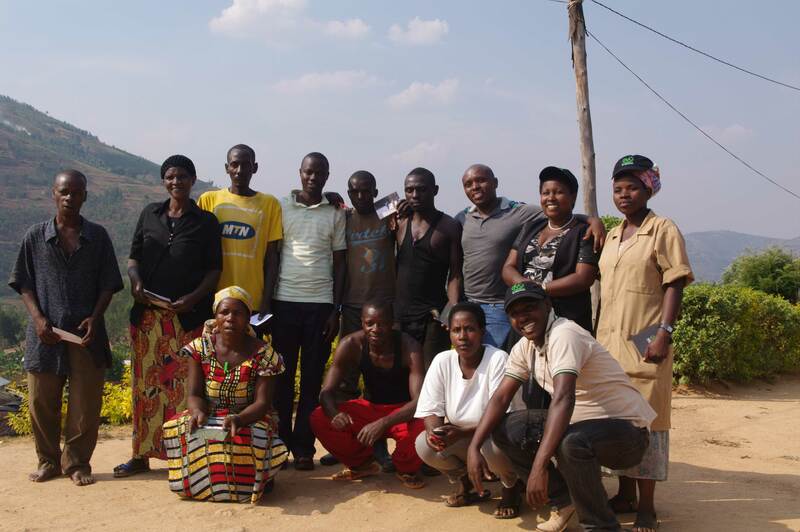 This CWS had fallen into disrepair until Buf rescued it to serve the surrounding population of smallholder farmers. 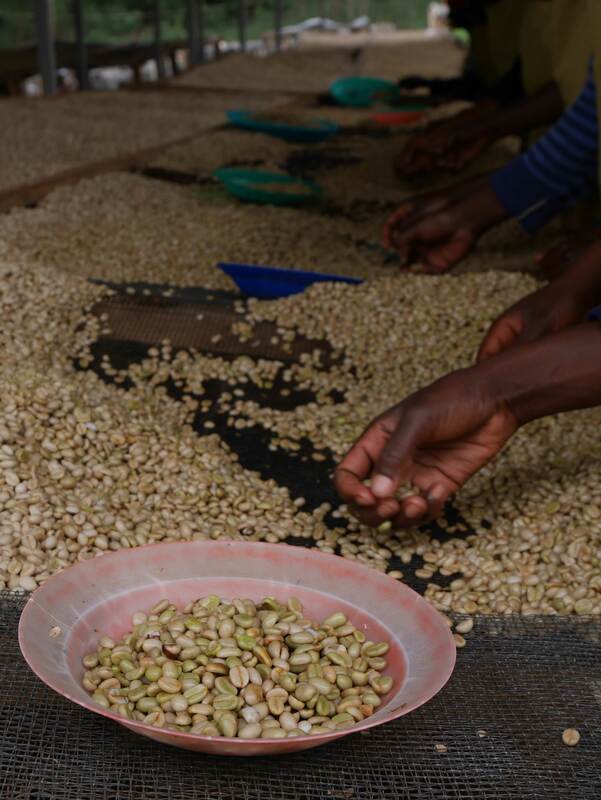 Before investing in the CWS, Buf did a great amount of research regarding the potential for quality in the region. 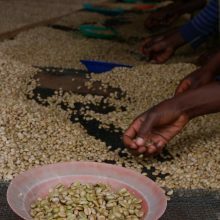 They found that the Ubumwe area has rich soil nutrients, especially Phosphorus, Potassium, Zinc and Boron, which are necessary for coffee growth and which contribute directly to cherry ripeness and root development. 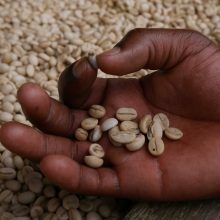 This nutritional difference has a huge impact on coffee growing and, therefore, Ubumwe CWS produces an outstanding quality coffee. 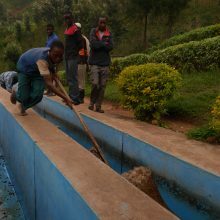 Even though Ubumwe is near Kigali at a relatively low elevation, it receives cherries from approximately 500 farmers living at 1,550 to 1,700 metres above sea level. 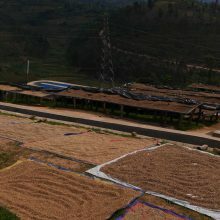 Ubumwe CWS is also unique in that it has a dry mill and a cupping lab facility directly attached to the CWS, which enables it to give very responsive feedback to the surrounding smallholders who bring their coffee for processing. 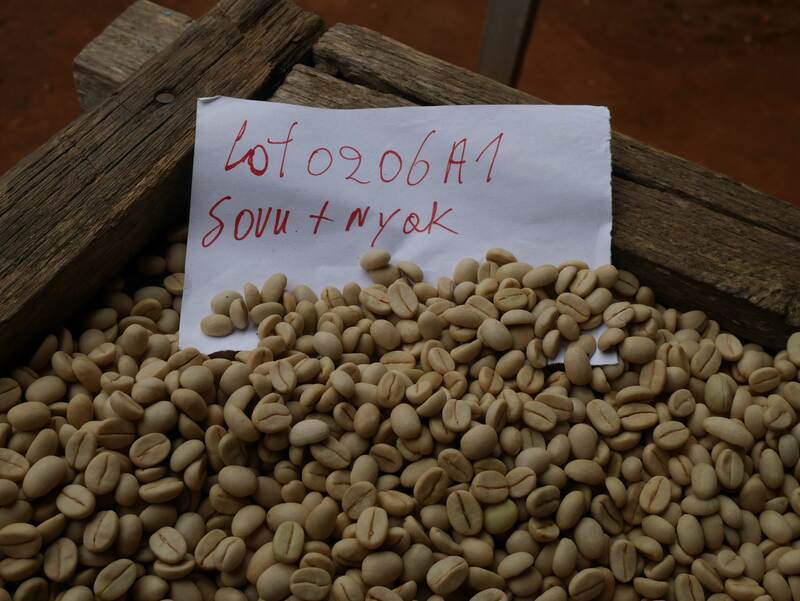 Quality is checked easily and regularly, and farmers are brought directly into that loop. 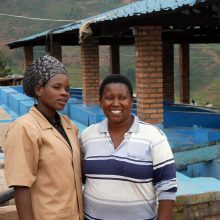 As at most washing stations in Rwanda, women do the majority of the hand sorting. 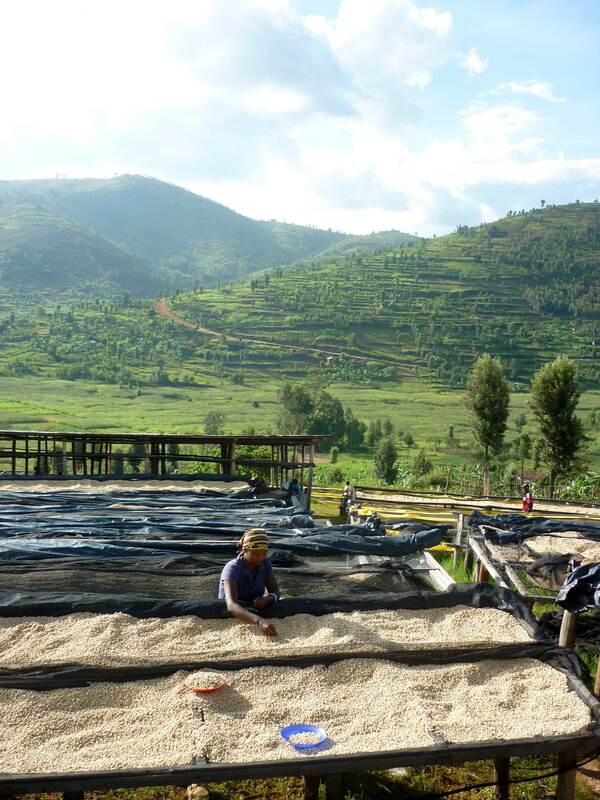 This takes place in two stages - on the covered pre-drying tables and on the drying tables. 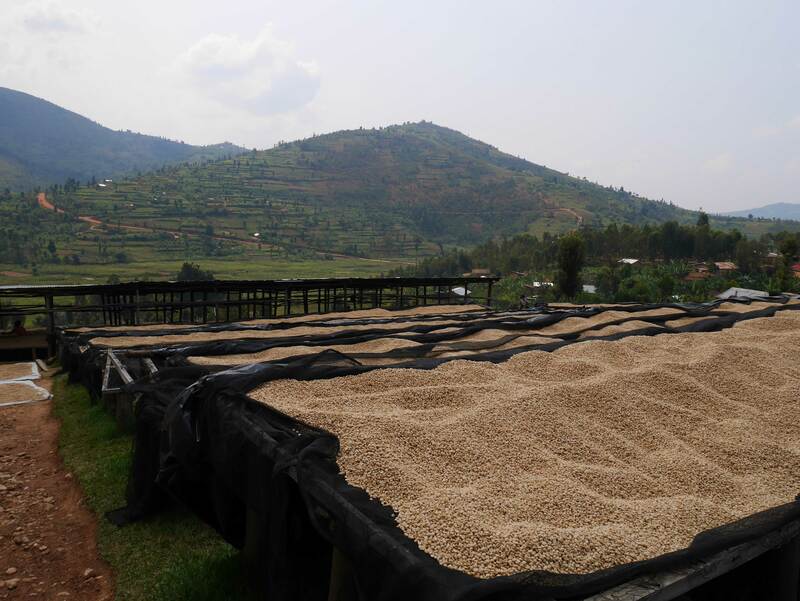 Washed beans are moved from the wet fermentation tanks onto the pre-drying tables, where they are intensively sorted under shade for around six hours. 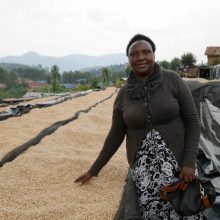 The idea is that greens (unripes) are still visible when the beans are damp, while the roofs over the tables protect the beans from the direct sunlight. 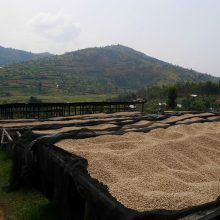 Next, the beans are moved onto the washing station’s extensive drying tables for around 14 days (depending on the weather), where they are sorted again for defects, turned regularly and protected from rain and the midday sun by covers, ensuring both even drying and the removal of any damaged or ‘funny looking’ beans. 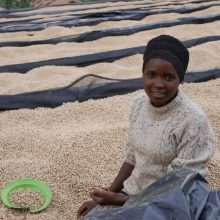 After reaching 11% humidity, the coffee is then stored in parchment in Remera’s purpose-built warehouse prior to final dry-milling and hand-sorting at the dry mill in Kigali or (as in this case) the Ubumwe dry mill. 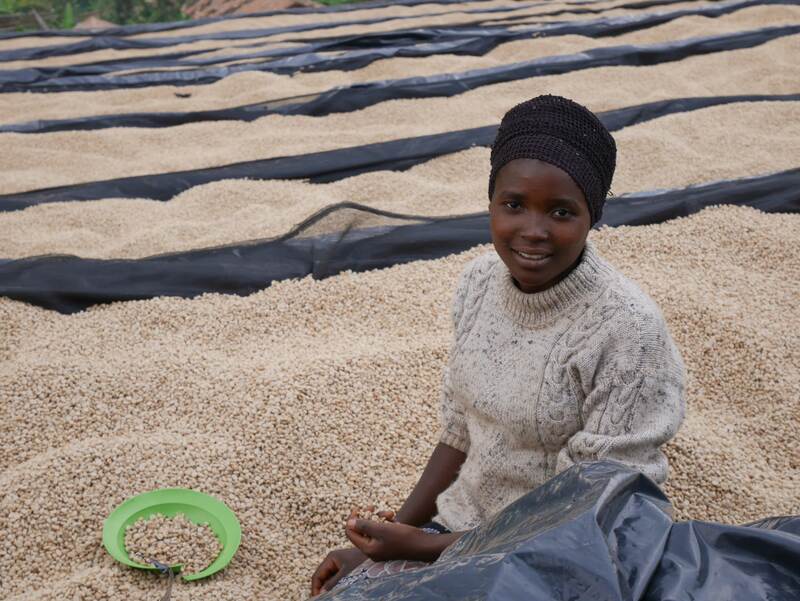 Each coffee that arrives is also cupped by the Q-graders of Buf’s exporting partner, Rwashocco.